Abramovich brings to the Museum extensive curatorial, research, and community engagement experience, including at the New Orleans Museum of Art, Dumbarton Oaks Research Library and Collection of Harvard University, and the Smithsonian Institutions National Museum of the American Indian. 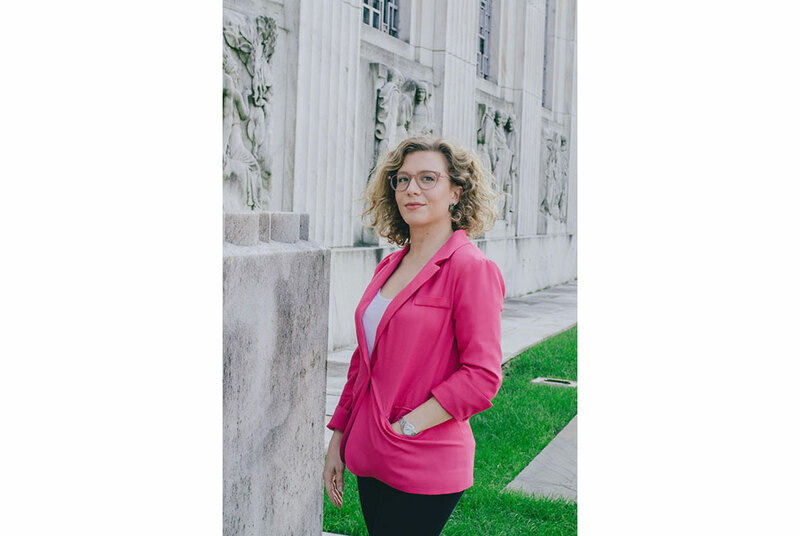 SAN ANTONIO, TX.- The San Antonio Museum of Art announced today that it has hired Lucia Abramovich as the Museums new Associate Curator of Latin American Art, following the completion of an international search. Abramovich brings to the Museum extensive curatorial, research, and community engagement experience, including at the New Orleans Museum of Art, Dumbarton Oaks Research Library and Collection of Harvard University, and the Smithsonian Institutions National Museum of the American Indian. The San Antonio Museum of Arts Nelson A. Rockefeller Center for Latin American Art encompasses more than 12,000 objects in the areas of Ancient America, Spanish colonial, Republican-era, Modern, Contemporary, and Folk Art. Among her projects at SAMA, Abramovich will reconceptualize and reinstall the Museums Latin American Folk Art collection, one of the most important collections of its kind in the United States. Lucia is an up-and-coming scholar of the arts of both ancient and viceregal Latin America, who brings an exceptional suite of talents to the San Antonio Museum of Art, and it will be a pleasure to watch what she will do in this important post, said Joanne Pillsbury, Andrall E. Pearson Curator in the department of the Arts of Africa, Oceania, and the Americas at the Metropolitan Museum of Art. Abramovich will begin work in San Antonio in June 2019.
with the public. You can count on her to build the collections, to develop sensational exhibitions and programs, and to grow the audience for Latin American art," said Elizabeth Boone, Martha and Donald Robertson Chair in Latin American Studies at Tulane University. Abramovich will receive her PhD at Tulane University in April 2019. Her dissertation is titled Precious Materiality in Colonial Andean Art: Gold, Silver, and Jewels in Paintings of the Virgin. She completed her Masters at the University of East Anglias Sainsbury Research Unit in 2012. Since beginning her career, Abramovich has received numerous grants and awards, including a grant to support travel for research and is a recipient of the Donald Robertson Award for Best Graduate Paper in the Humanities at Tulane. She has presented her work at a range of conferences in both the United States and Latin America.